This thorough and timely anthology on the Fourth Amendment provides an overview of the most important aspects of this crucial amendment's doctrine and scholarly criticisms of the Supreme Court’s jurisprudence relating to the amendment. Dividing the work into three parts, the author begins by providing historical background and a summation of the debate over the meaning of Fourth Amendment. 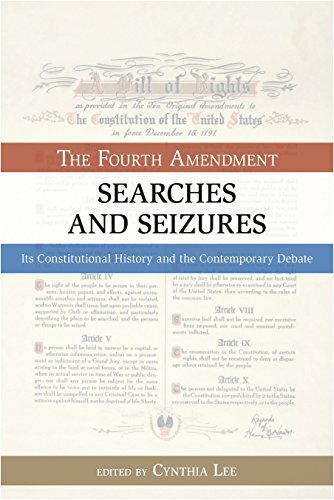 In the next section, the work focuses on the doctrinal underpinnings of the Fourth Amendment, providing both description and critique of the U.S. Supreme Court’s current search and seizure jurisprudence. It examines problems with the Court’s definition of a "search" and "seizure" and the thorny subject of racial and ethnic profiling, among other topics. The concluding section examines the future of the Fourth Amendment in light of new and emerging technologies and the war on terror. This user-friendly, well-organized anthology will be of great value to students and scholars of the law, and anyone with an interest in the balance between individual rights and governmental power. Cynthia Lee (Washington, DC) is a professor of law at The George Washington University Law School. She is the author of Murder and the Reasonable Man: Passion and Fear in the Criminal Courtroom and the coauthor (with Angela Harris) of the first and second editions of Criminal Law: Cases and Materials.